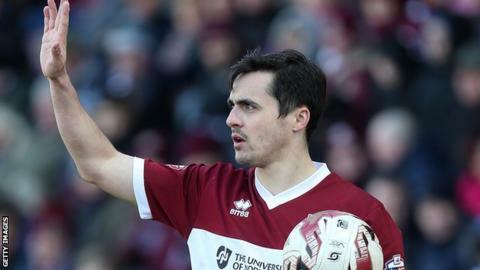 Grimsby Town have signed Northampton Town full-back Evan Horwood on loan until the end of the season. Horwood has not played this term, with fellow left-back David Buchanan the only ever-present for the Cobblers. The 29-year-old has made 26 appearances for the League Two side since joining permanently in 2014 and is out of contract in the summer. He has joined a Grimsby side third in the National League, 12 points off the top, but with two games in hand.